Win Phantom of the Opera Tickets! 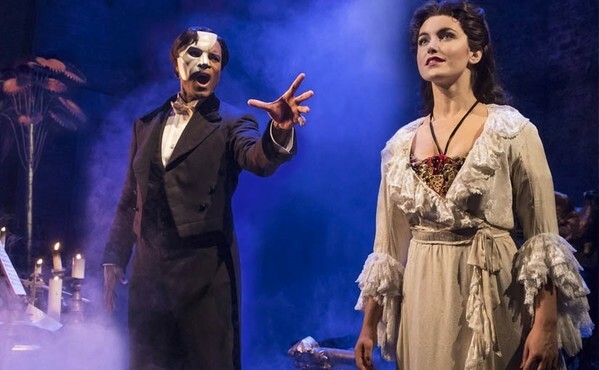 There are just a couple of days left to enter to win tickets to Andrew Lloyd Webber’s acclaimed The Phantom of the Opera playing now at SHN’s Orpheum Theatre in San Francisco. One lucky winner will receive 4 tickets to the matinee show on Saturday, September 22 – courtesy of our partner, SHN Theatres – plus 4 round-trip tickets on the Capitol Corridor so you can travel there in style. You have until 5pm on Monday, September 10 to enter! 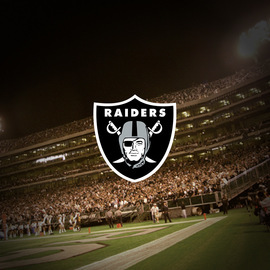 Raider fans from the Sacramento area can tailgate to and from the September 10 Monday Night Football game on the Capitol Corridor! Eastbound train 550’s schedule will be adjusted by 45 minutes, departing the Oakland Coliseum Station at 10:45pm instead of 10pm so you won’t miss any of the action. Fans will also save 25% on travel! 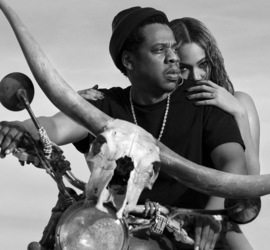 On Saturday, September 29, Jay-Z and Beyoncé will be delighting fans at Levi’s® Stadium with their On the Run II tour. Have tickets? Leave the car at home and let the Capitol Corridor be your chariot. We’re running special service after the show. Eastbound train 748 will depart the Santa Clara-Great America Station at 11:30pm instead of 9:23pm. While rail safety is a critical issue every single day of the year, September is officially Rail Safety Month. 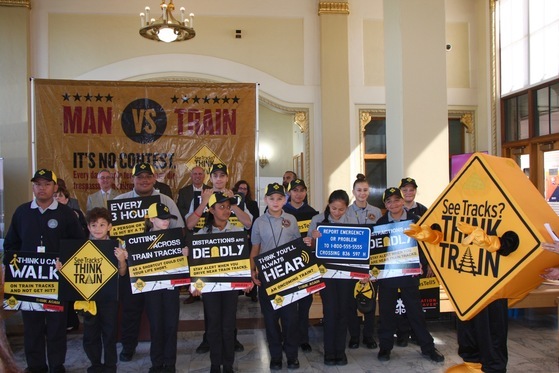 On August 29, Capitol Corridor staff joined rail safety partners, including California Operation Lifesaver (CAOL), Union Pacific, and Amtrak, to kick off this important public outreach initiative at the Robert J. Cabral Amtrak Station in Stockton. Pictured above are students from the Stockton Public Safety Academy, along with CAOL’s mascot, ST3. Rail safety is a priority for all of us at the Capitol Corridor, this month and everyday! Please help spread this important message by checking out our safety tips and video and sharing them with friends and family. Who Rides the Capitol Corridor? Did you know that almost three quarters of riders get to our stations using some mode of transportation other than driving alone? (kudos!) Each summer, the Capitol Corridor conducts an on board survey of passengers to learn more about who rides our trains and buses, how they access our service, and what motivates them to take the Capitol Corridor. Check out our survey summary for more interesting facts about our ridership! Eat Real, Farm-to-Fork, Autumn Moon, and More! 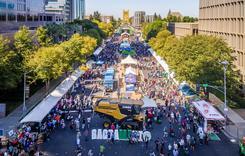 Even though summer is winding down, there’s still plenty of fun and adventure to be had along the Capitol Corridor and throughout Northern California. Check out our blog post, September Picks, for car-free ideas to fill your remaining summer days.